Lindsey became Executive Director of Jodi House in February 2018. After earning her B.A. from the University of California, Santa Barbara in 2006, Lindsey began her career in the nonprofit sector at Gilda’s Club New York City, a worldwide cancer support community. She went on to attain her M.S. in Public Policy and Nonprofit Management from The New School in 2012, and after five long winters spent in New York City, Lindsey returned home to her sunny native Southern California in 2013. Lindsey is passionate about improving the health and outcomes of vulnerable and marginalized people and is thrilled to have recently been appointed Executive Director of Jodi House, an organization doing such important work in the Santa Barbara community she loves. Gabby began her time at Jodi House as a volunteer during her sophomore year while attending the University of California, Santa Barbara. 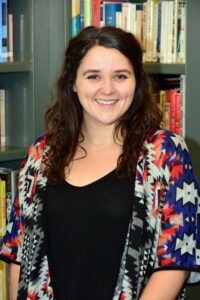 After graduating with a Bachelor of Arts in Psychology, with a minor in Applied Psychology, Gabby joined Jodi House as Case Manager and was promoted to Program Manager in October 2018. In her role, Gabby is responsible for program development and oversees Jodi House’s day program and case management services. 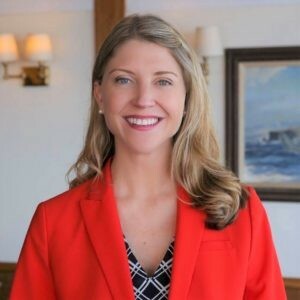 She recently earned her Certified Brain Injury Specialist (CBIS) credential in March 2019 and has been active in the non-profit world since a young age. 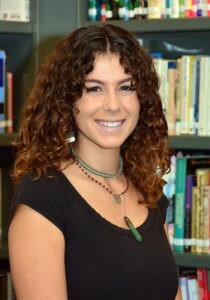 Eleanora Shulman graduated from the University of California, Santa Barbara with a Bachelor of Science in Biopsychology in 2018. 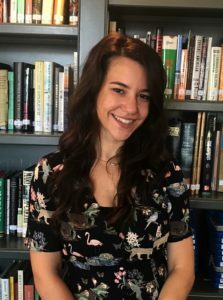 Eleanora has a strong background in neuroscience and experience working with nonprofit organizations in the mental health field. Eleanora is bilingual, speaking both English and Russian. She hopes to incorporate her knowledge and passion for neuropsychology to contribute to the growth of Jodi House and its members. Hanna graduated from the University of California, Santa Barbara with a Bachelor of Arts in Psychology and Chicana/o Studies in 2018. During her undergraduate studies, Hanna worked at UCSB’s Counseling and Psychological Services (CAPS) as a Mental Health Peer and head of outreach and advocacy for LGBTQIA+ and International students on campus. In her role at Jodi House, Hanna will be working with members to identify and achieve their individual goals for recovery. Hanna is multilingual, speaking English, Spanish, and German. Hanna is passionate about the intersection between social justice and mental health, and is excited to be working with brain injury survivors of all backgrounds in her role. 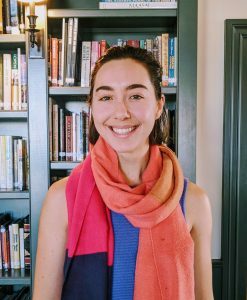 Nadia graduated from the University of California, Santa Barbara in 2016 with a Bachelor of Arts in Psychology and a minor in Applied Psychology, and came to work at Jodi House as the Program Specialist. After taking time off from Jodi House to travel, she found herself back and ready to be part of the team once again. Along with Nadia’s work at Jodi House, she has been a part of San Felipe Supportive Living for the past three years, promoting independence and quality of life for people living with developmental disabilities. With a background in both program and administration, Nadia has transitioned into a new role as Development and Program Coordinator. She hopes to carry her understanding of the program into her position and is excited as ever to be here at Jodi House! 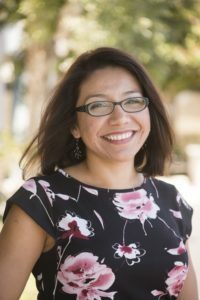 Jennifer Martinez serves as Jodi House’s case manager in Ventura County, contracted through the Independent Living Resource Center. She has worked with, and for, people with all disabilities for the past eight years. Jennifer is proud of being born and raised in Military City, USA and it’s countless opportunities to befriend service men and women with TBI and PTSD; this ignited her passion for working with brain injury survivors to reach their maximum independence and self-sufficiency goals.